Covering local news, whether at a small town TV affiliate or on the city desk of a big urban paper, can sometimes lack the glamour of the parliamentary press gallery or the investigative team. The disappointing rise of “fake news” and a persistent animosity toward the press from some corners of society has brought a revived interest in, and support for, journalism that keeps the highest echelons of power in check or uncovers vast institutional malfeasance. 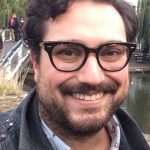 As a reporter who has spent a large portion of their career covering breaking local news in the Greater Toronto Area, though, I’ve had moments when I’ve looked at the praise and respect being heaped on professional journalism and felt a pang of impostor syndrome – a feeling that my sometimes hyper-local work does not have the far-reaching public interest or lasting impact of the type that makes journalism such a vital part of society. But local reporters are, in large part, the face of the industry, and the first and often the only direct point of contact between members of the public and the media. At this crucial time in the Canadian media’s ongoing effort to earn and preserve audience trust, local media may be the key to maintaining the faith of readers, viewers and listeners. And, as such, local media have the opportunity to show audiences first-hand the work that goes into crafting responsible, accurate stories. A 2018 “trust barometer” survey by global communications consulting firm Edelman found trust in Canadian media had improved, but that over 60 per cent of respondents felt the media in this country focused more on gaining large audiences than they did reporting the news, while just over half of those surveyed said news outlets focus on promoting ideology rather than keeping the public informed. The 2018 Poynter Trust Media Survey focusing on the U.S. market and published this summer suggests trust can be greater for local outlets than national ones. Seventy-three and 76 per cent of respondents said they had at least a “fair amount” of trust in their local newspaper and TV news, respectively, while just 59 and 55 per cent had confidence in national papers and broadcasters. The study’s co-authors and outside experts offered a handful of explanations for the disparity – including a major lack of trust in national media among Republican respondents and the theory that local outlets might simply cover less controversial subjects – but audience familiarity with journalism outlets plays a major role. “Trust is based in experience, and people have had long and deep experience with local news publishers,” David Chavern, president and CEO of the News Media Alliance, told Poynter. The fact is, local journalists are the ones covering stories that audiences have intimate knowledge about and personal connections to. They are the ones knocking on your door after there’s been a fire on your street or attending a community meeting about a nearby condo development. In other words, when it comes to local journalism, readers and viewers can far more easily see how the sausage is made and how the facts are represented in the resulting story. But so far, data on audiences in Canada doesn’t necessarily reflect that dynamic. 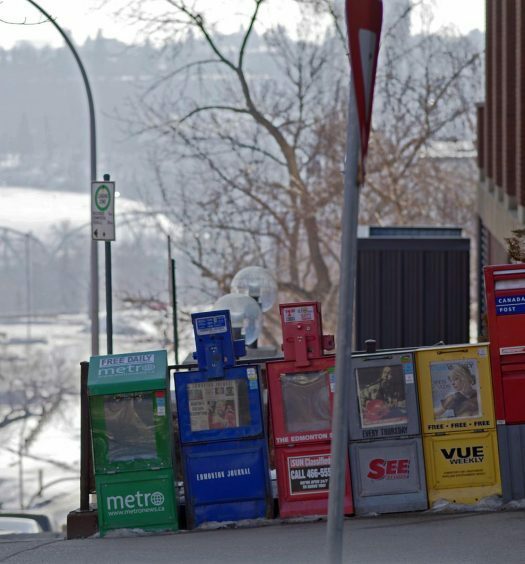 A 2018 study by the media consumer research firm Vividata and data consultant Kantar found that slightly more Canadian respondents trusted national print newspapers than local papers, by a margin of 70 per cent to 66 per cent. 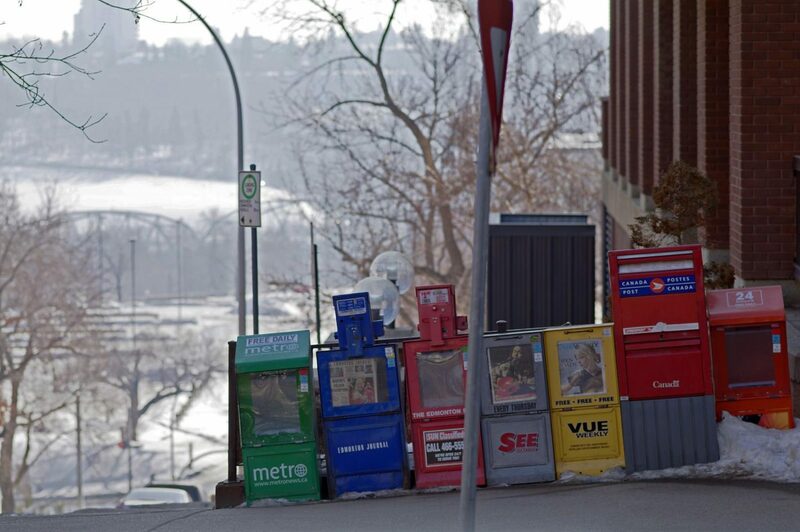 “This makes me think that perhaps the carnage in the newsrooms of smaller publications newspapers is taking its toll,” Ryerson journalism Prof. April Lindgren said. “People are opening up papers that used to (have) more comprehensive coverage and they’re not finding that any more. You could make the case that the cuts to newsrooms to the point that there’s not so much left in the newspapers is a breach of faith and that in turn affects the readers’ trust and commitment to the publications,” Lindgren said. Years of mergers, swaps and downsizing mean that the local news communities depend on is increasingly less local. An analysis of Port Hope, Ont.’s, newspaper by John Miller, professor emeritus at Ryerson University, shows the Postmedia-owned paper was comprised of 75 per cent syndicated or wire service content as of 2017. Eleven of Postmedia’s papers just announced they will eliminate one print day per week by Nov. 19 in a “cost-based” move. It’s difficult to compare the Canadian study with the American one, since Poynter’s U.S. research included papers and TV stations, while the Vividata report only differentiated between local and national print newspapers, Lindgren said, adding that there is a problematic lack of data on Canadian journalism overall. There is, however, a clear path forward for any news outlet trying to win audience trust. “Reader trust (in any market) is, in essence, heavily weighted on whether a media outlet produces quality content readers can relate to, has exemplary journalistic ethics and standards, and a commitment to areas such as investigative reporting and change journalism which rights wrongs,” said Wendy Metcalfe, editor-in-chief and director of content for Brunswick News, which operates several local newspapers across New Brunswick. Media outlets need to give their audiences a better understanding of the journalistic process and demonstrate that the news is not, as some people believe, made up by a person with an opinion looking for facts to support their viewpoint, then printing it under the guise of news, Lindgren said. “What some newsrooms are doing, and what they need to do, is be as transparent as possible … about how we get information, what information we cannot get, sharing the data on which journalists base our conclusions, and being as open as possible about how we do the job,” she added. Local journalists have a vital part to play in that transparency. As that point of contact with the public, local journalists can show their communities up close and in person how the job is done. As the Poynter and Vividata studies show, plenty of audience members differentiate between their local paper and a national outlet. But it’s not uncommon for the public – and the occasional politician – to make generalizations about journalism as a single entity. A good or bad interaction with one journalist can have a big impact on the way a lay person views the industry as a whole. Last summer, the sisters of a Toronto man in court on terror charges told me they would not speak to any journalist about the case, in large part because they felt a reporter who visited their house just after their brother had been arrested had lied to them about growing up in their neighbourhood in an effort to connect with them and land an interview. The experience made them feel that reporters only cared about digging up dirt on their family, not about telling the real story, they said. On the other hand, a positive experience with the media can sway a person the other way. I have had people who are involved in a news item tell me they expect to be savaged in the article I’m working on, only to later tell me they found the final piece fair. I’ve spoken with people who have told me they thought all reporters pressured and bullied sources, and were surprised to find the interview process comfortable and open-ended. I’d like to think that, in showing how responsible journalists do their job, I helped instil a bit more faith in the profession. 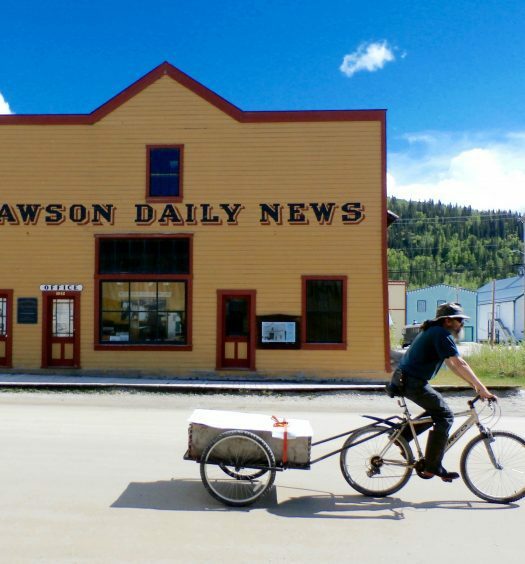 Local reporting is an opportunity for audiences to see the painstaking care, commitment to truth – and often deep compassion – that goes into journalism. Rightly or wrongly, the media can be treated as a monolith, especially when it comes to the belief that we’re not doing our jobs correctly. There is an onus on the journalists who have the most contact with our audiences to put the industry’s best foot forward. It will take a lot more than that to win lasting trust, but it’s a vital first step. Peter Goffin is a Canadian journalist based in London, England. He has previously worked as a reporter for the Toronto Star and the Canadian Press.